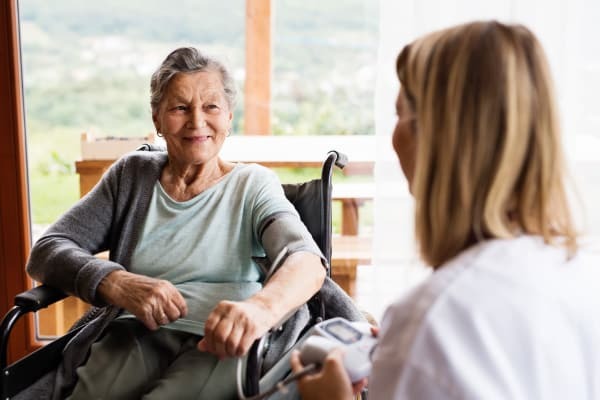 At Oswego Home Place, we understand that after a major health event such as surgery, injury, or illness, many seniors are eager to return home. Our innovative Homeward Bound program is designed to do just that. Your therapy is designed around the home you will return to — not the therapy gym. We are part of creating you or your loved one’s care plan from the beginning, starting you off on the right track so you can get home quicker. Having a knowledgeable advocate working on your behalf can pave the way for a smooth transition from the hospital back to your own home. We begin with an onsite visit while you or your loved one is still in the hospital, which includes collaborating with your physicians. Then we monitor your progress daily and collaborate regularly with your medical team, all while keeping you and your loved ones informed about your progress. When the time comes for you to go home, we complete a thorough home evaluation before you leave the hospital, ensuring your safety, comfort, and wellbeing. ​The shared goal is for you to make a speedy recovery and a safe return home as quickly as possible. With our daily monitoring, flexible care plans, and customized therapy protocol, you’ll have the confidence and peace of mind required to be able to focus on your recovery. Our Homeward Bound program maximizes the opportunity for full recovery, shortens rehabilitation periods, and takes advantage of collaboration between your medical team to ensure the best possible outcome. To find out more about our innovative Homeward Bound program in Oswego, Kansas, get in touch with a member of our team today.